Congratulations to Ian St John on the occasion of his 80th birthday. He was the centre forward in our famous Ancell Babes side before moving on to Liverpool where he became a firm favourite. In the four season between 1957 and 1961 he made 113 appearances and scored a remarkable 80 goals. 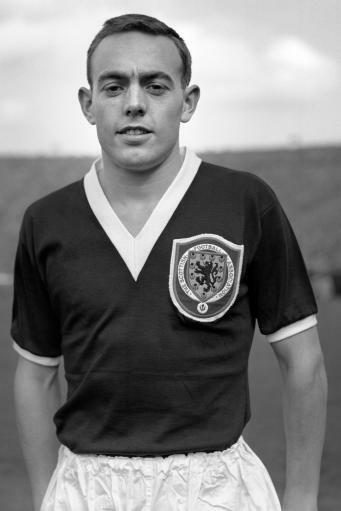 Notable among his achievements are the 2 minute 30 second hat-trick against Hibs, his six strikes against Flamengo in a 9-2 thrashing under the Fir Park lights and his contribution to the 5-2 win at Ibrox in March 1961 as his playing career with us drew to a close. But he would be the first to acknowledge his team-mates who provided him with so many goal scoring opportunities. Hunter, Quinn, Weir and Reid formed the supporting cast in attack and they thrilled all who were fortunate enough to see them play. Shankly took him to Liverpool for a fee of £37,500. That cash bought a substantial part of what is now the Phil O'Donnell stand. Its construction was the basis of the stadium we know today. His success in the red shirt helped move Liverpool from the second division and on to league winners. In 1965 he scored the winning goal to take the FA cup to Anfield for the first time in 73 years. No wonder he remains high in the list of greats. He returned to Motherwell as manager for season 1973/74. League reconstruction was imminent and our ninth place finish earned us a place at the top table. He eventually started a career as a pundit, most prominently on the Saint & Greavsie show. A reflection of the esteem he holds with his home town fans can be seen from his inclusion in The Greatest Motherwell teams in the polls taken in 2007 and 2017. He has had several health issues in recent years and his visits to match days are few and far between.